Bianca Cotton Soft Star Fitted Sheet Toddler Bed. A detailed star print in blue and red on a crisp clean white background. 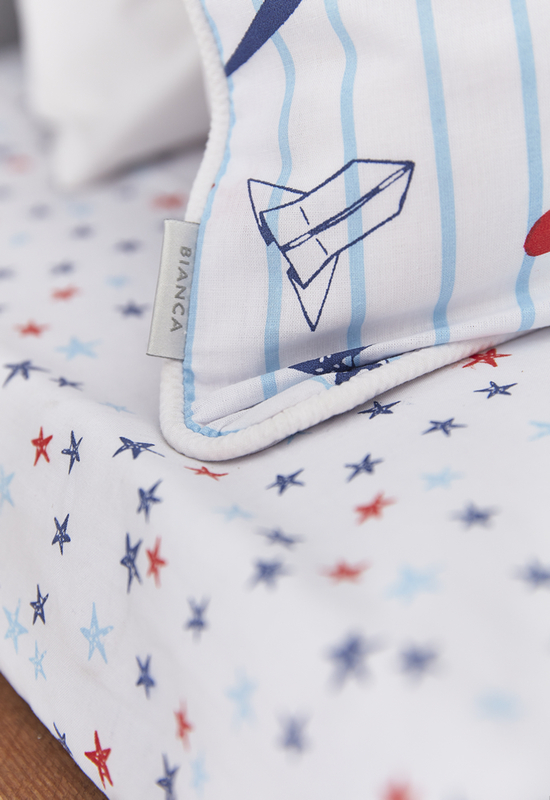 Ideal for you little ones while they dream on wonderful soft cotton. 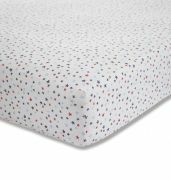 Specially, soft to the touch finish, this pure cotton star print bedlinen gives you a light fresh look and added comfort of naturally breathable cotton. 100% cotton, wash at 40 degrees, cool tumble dry and low iron.